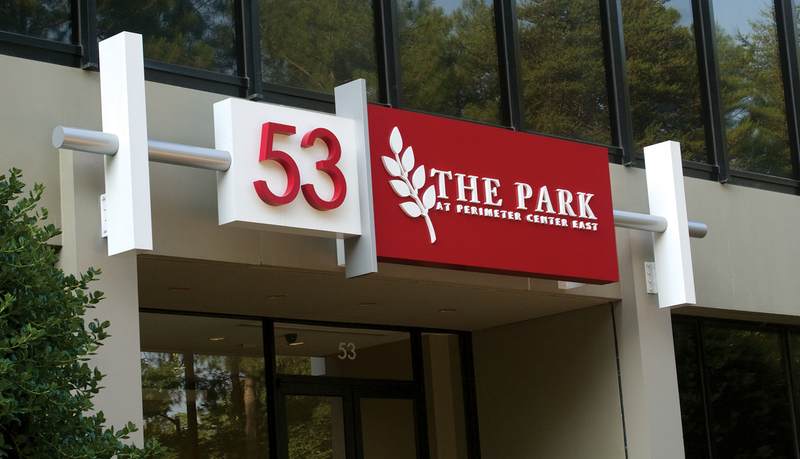 The Park at Perimeter Center East is a Class A multi-tenant office park consisting of three adjoining mid-rise office buildings and parking lots totaling 284,000 square feet on more than 19 acres. 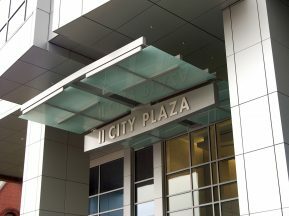 The three office buildings, known as 41, 47 and 53 Perimeter Center East, are adjacent to upscale retail shopping and restaurants and other area amenities. 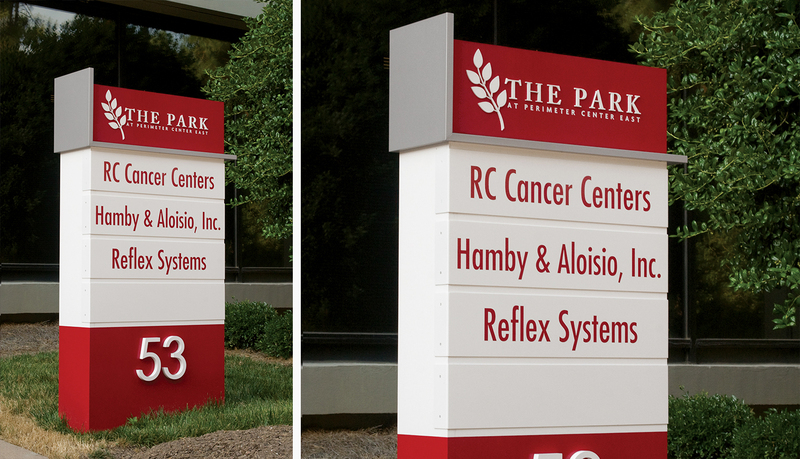 The office park provides quality commercial office space for tenants that include medical offices, government services and small businesses. 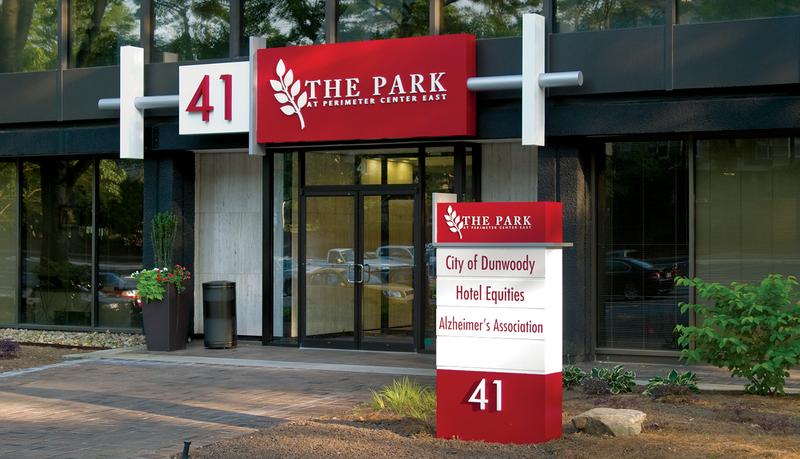 The Park at Perimeter Center East is located within a much larger master-planned area known as Perimeter Center. 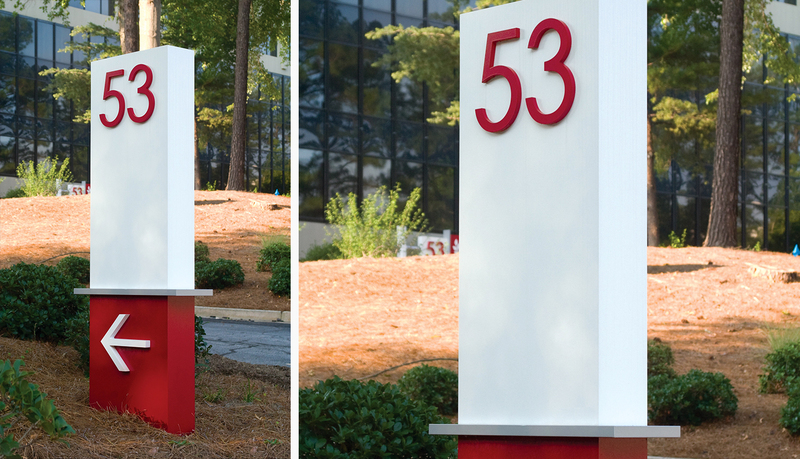 Because ASI had provided a design-build wayfinding and signage solution for the other areas in the master-planned community, the new property owners for The Park at Perimeter Center East turned to ASI to create a signature branded exterior signage and identification solution for 41, 47 and 53 Perimeter Center East. 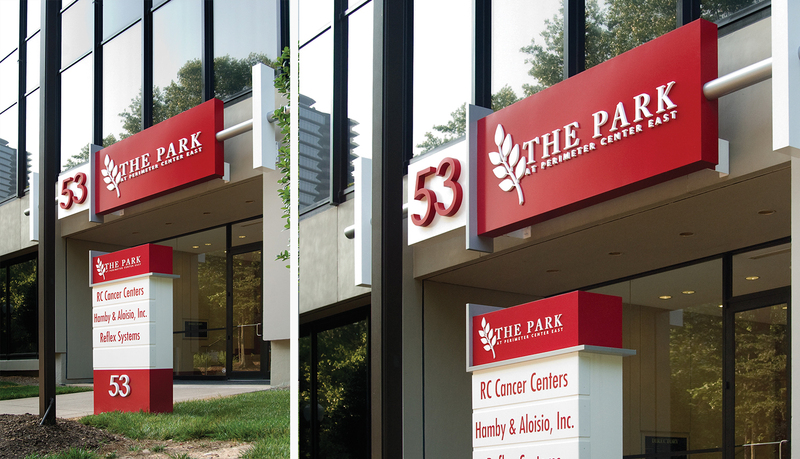 for the vehicular and foot traffic areas, ASI began designing a custom exterior solution that integrated a branded color scheme into each sign and “oak leaf” logo into the primary building and site identity signage. 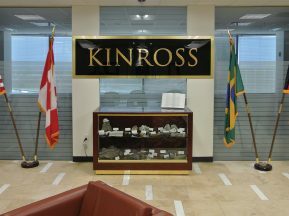 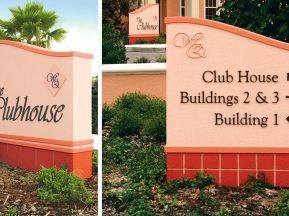 The exterior signage solution includes exterior directional and directory monoliths, wall-mounted building identity signage, and post and panel vehicular parking signage. 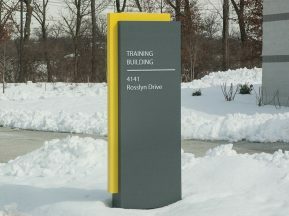 new tenants move in to the building. 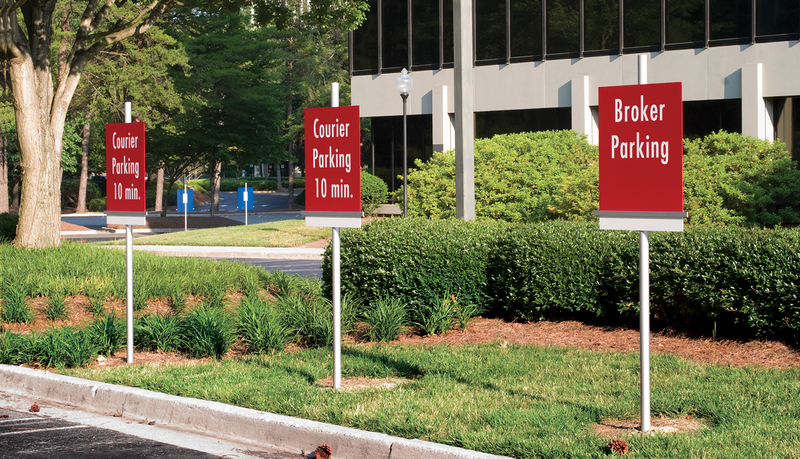 The complete solution guides visitors and staff efficiently throughout the complex and it clearly brands the Park at Perimeter Center East complex as a separate area within the master-planned community.